This VMware Data Recovery software is designed in such a way that it recover data from multiple VMware files at once. A user just needs to click on the Browse button for Virtual machine folder path. Moreover, if a user wants, he or she can search for multiple VMs also in the local machine drive and scan all of them in batch. It repairs & recovers all data, files or folders available in the VMDK file. As the scanning process of corrupt, formatted, or deleted VMDK files is completed successfully, the tool will display all its data items. It provides the preview of each file with its attributes such as name, created date, size in bytes, and modified date. 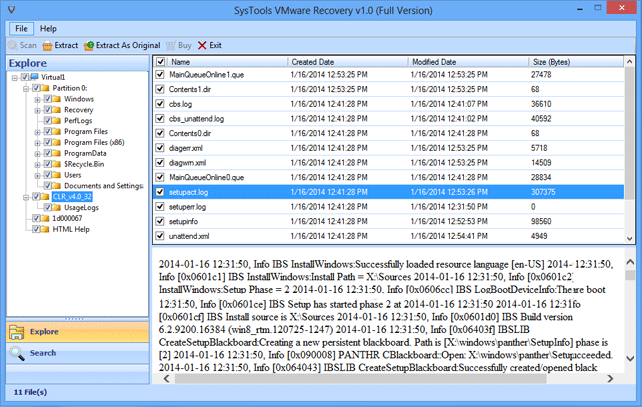 The VMware Data Recovery tool will permit users to preview text files such as .xml, .log, .dir, flat etc. and images in .jpg, .png, .gif, etc., format. VMDK Data Recovery tool permits users to search for any particular file like vmdk flat file within the VMware file via its extension. Moreover, a user can filter the data items with the help of various parameters like creation date, last access date, or last modified date. One can also set the date range in order to filter out the items under the specified date range. While extracting VMDK file data, the vmdk flat file recovery tool provides users an option to perform it on a selective basis. A user can easily save the selected data and folders from the repaired VMware files without any hassle. One just needs to check or uncheck the data items that need to be extracted. 1. Extract Data: If a user wants to save the VMDK file at some desired location, then choose this option. 2. 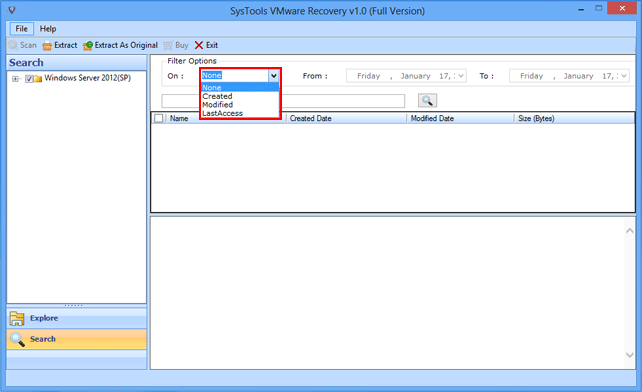 Extract as Original: If a user wants to restore the recovered VMware file data in its original location. 1. Search in All Drives: Perform search operation on complete system drives. 2. Search within Specific drive: Look in the selective drive only of the local machine. The VMware Data recovery tool is designed in such a manner that it after recovering VMware file data, the files & folders remains organized in a proper and original structure. Moreover, after extracting, the tool make sure that its folder structure remains intact as the original. There will be no change folder hierarchy and it will maintain the data property also after vmdk flat file recovery as well. 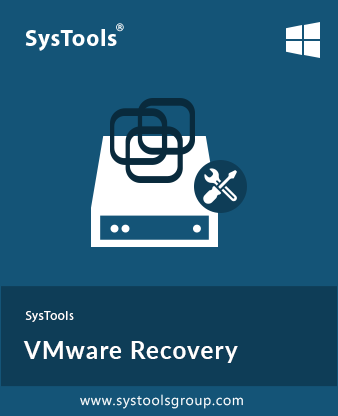 After the VMDK data recovery and extraction process, the VMware recovery tool will generate a complete report for the same. This report contains details like Virtual Machine number, Source folder & Destination folder. Moreover, if a user wants, then he or she can save the data recovery & extraction report in a CSV format on local machine for future reference. Is it possible to recover VMware images with the help of this application? 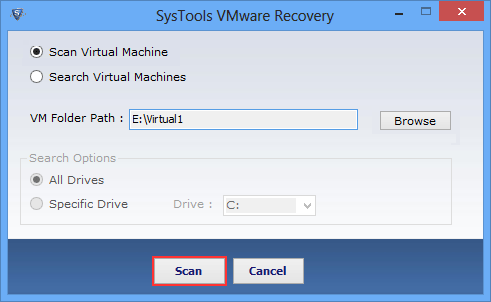 Yes, a user can easily recover and restore VMware images using this tool without any file size limitation. 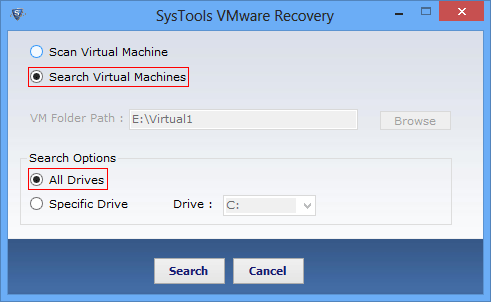 Can I recover corrupt or deleted VMDK file using this VMware Data Recovery tool? Yes, the deleted vmdk recovery tool is capable enough to recover permanent deleted, damaged, and formatted data from VMDK file. 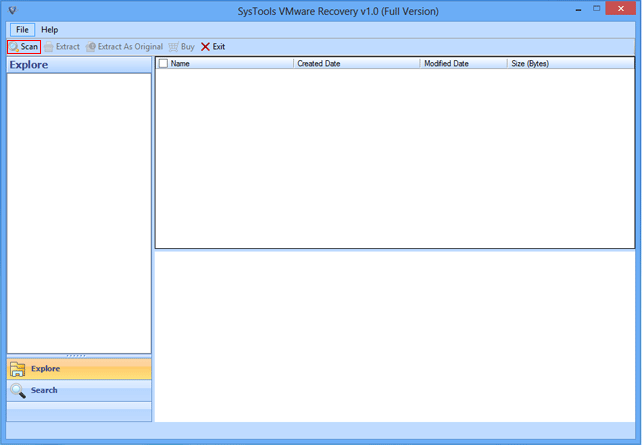 Does the application require any supportive application to recover damaged VMDK files? No, the VMDK Data Recovery tool is a standalone application. 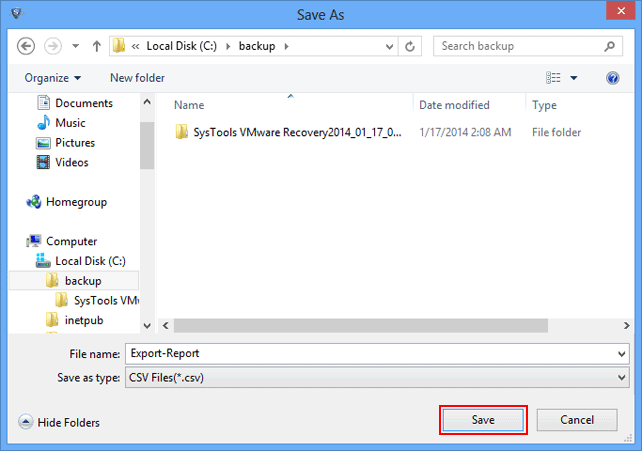 It does not require any extra installation to recover VMware file data. Can I recover 10 VMDK files stored in Virtual Machine at once using this VMDK Data Recovery tool? Yes, you are allowed to recover any number of VMDK files in bulk by directly adding a complete folder of multiple VMDK files. Also software is capable to perform vmdk flat file recovery. Does the software allow to extract data at its original location after recovery? Yes, while extracting and saving recovered VMware file data, a user can choose Extract as Original option. This will save the data in its original drive partition. Choose the files that you want to extract on any desired location or in its original drive. Then, click on Extract button and start the process. As the extraction process completed successfully, click on the Save button to save the report in CSV format on the system. "I did not know the path of VM folder on my local machine. But, the VMDK Data Recovery application is designed so well that it provides an option to search for Virtual Machine. This feature make the whole recovery process convenient for me. Moreover, the user interface of the application is also very easy to understand. It does not require any expert help to run the application." "Recovering multiple VMDK files at same time without any limitation is the most attractive part of this tool. I was having 7 VMDK files and all of them were large in size. Repairing each of them separately was the time-consuming process. But, thanks to this VMware Data Recovery tool for helping me in such a great way. 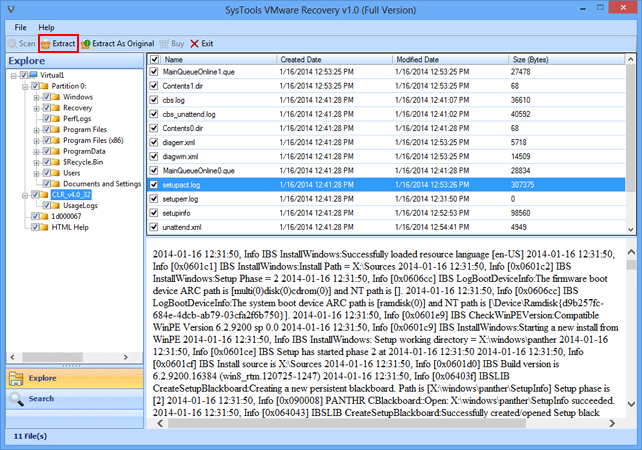 It recovers all my 7 VMDK files in just a number of clicks. Honestly, it is an amazing utility."